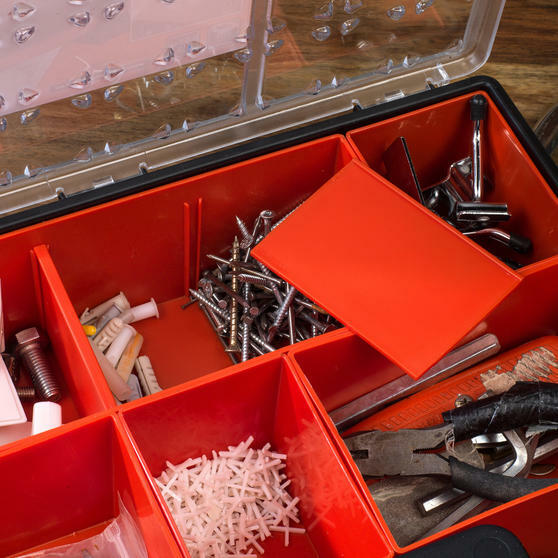 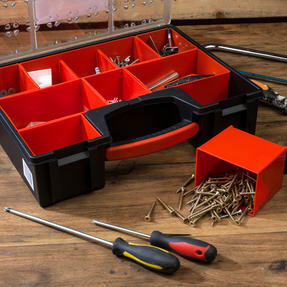 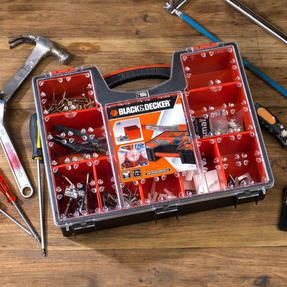 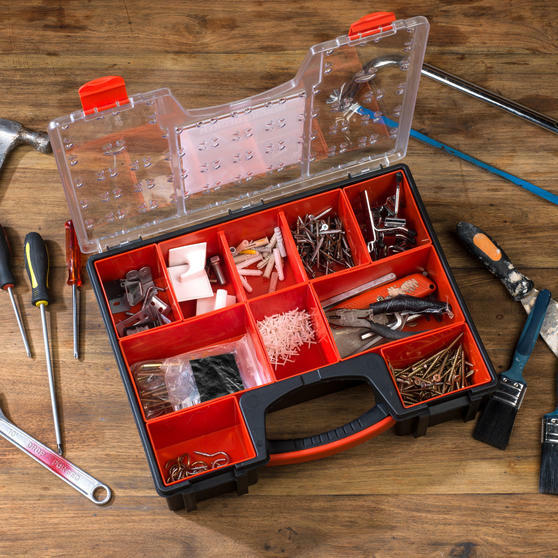 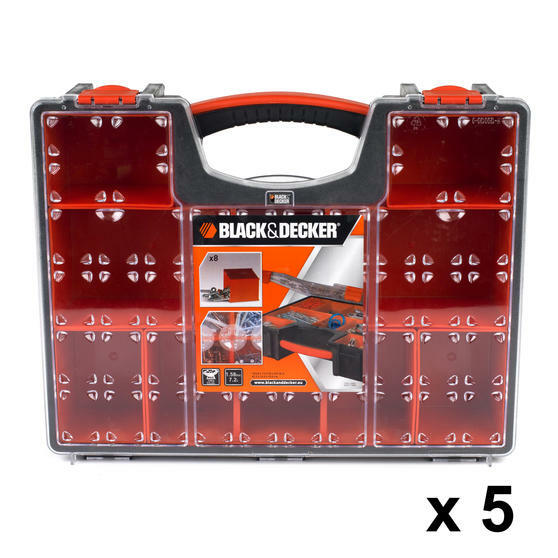 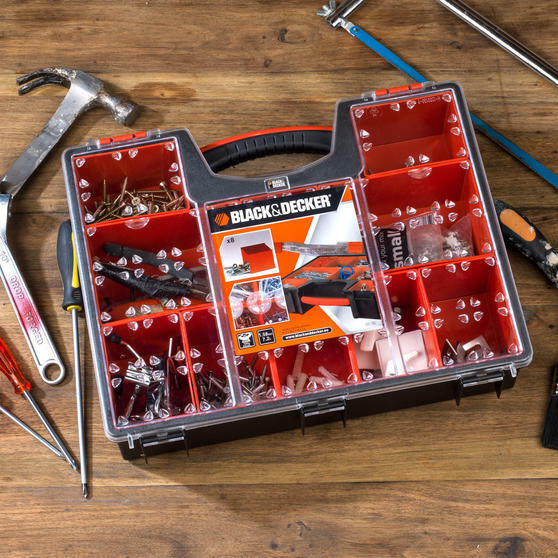 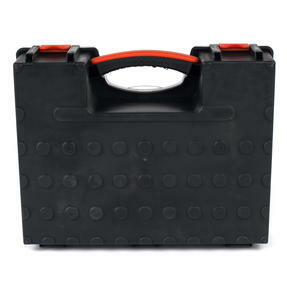 Manufactured from durable plastic, these rugged Black + Decker organisers are the ultimate storage solution for all your nuts, bolts, washers and other assorted DIY items. 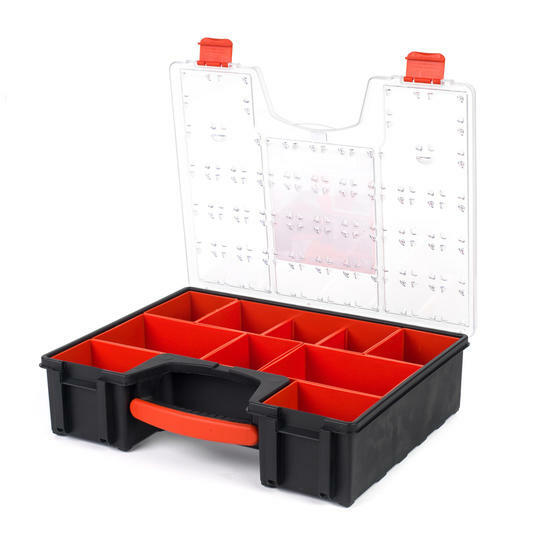 Each spacious 42.2 cm x 33.5 cm x 10.6 cm unit features 8 removable compartments to help keep your components separate and additional panels are supplied to create up to 10 sections when required. 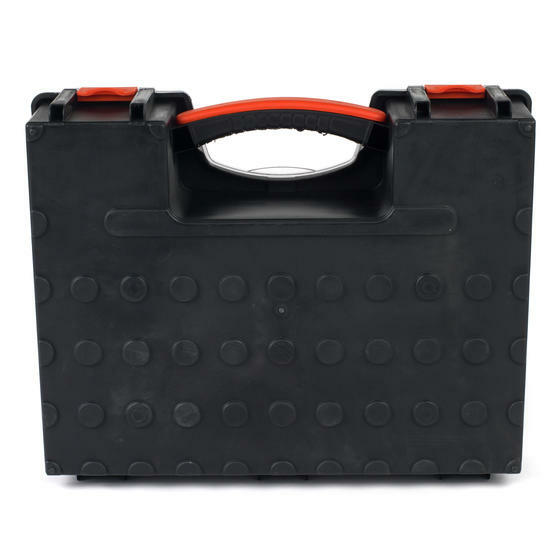 With a maximum load of 10 kg, each 7.2 L organiser has been designed for longevity and is sure to offer years of loyal service. These generous Black + Decker organisers each have 8 removable compartments, allowing you to store all your DIY essentials in one place. Engineered for functionality, they feature a uniquely moulded underside to stop slippage when placed on slanted or uneven surfaces. 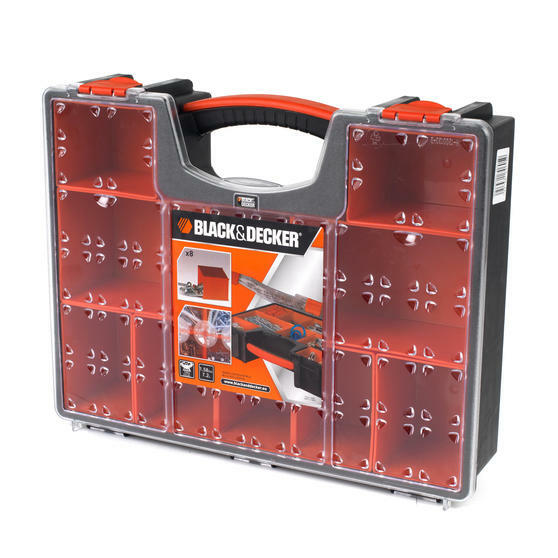 The 7.2 L units have an ergonomic easy-grip handle that enables users to carry up to 10 kg for prolonged periods without discomfort. 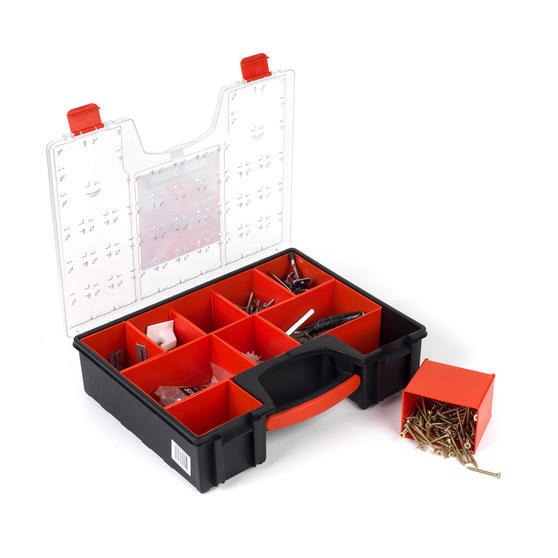 Their customisable interiors include detachable panels so you can divide the space into up to 10 sections depending on your needs. With a rugged see-through lid and heavy-duty clasp locks, these storage boxes are built to last even in the harshest working conditions.